The parents of a Kent man who went missing eight months ago have pleaded for him to get in touch during the Christmas period. 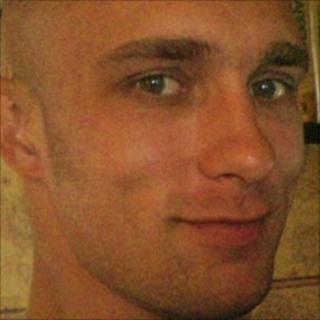 Matthew Green, 26, of Rock Road, Sittingbourne, was last seen by his parents on 8 April. The self-employed roofer said he was spending a weekend with friends in Mile End, east London, but never returned. Kent Police said he took his passport, driving licence and a quantity of money. His mother, Pauline Green, said: "Having someone you love go missing is one of the worst feelings in the world. "This Christmas wont be the same without Matthew and we are desperate just to know that he is safe. 'We certainly hope he will walk through the door at Christmas, that's what I want more than anything. It's the best present I could wish for. "If there's a death you've got closure, I haven't got an end. I miss him so much."